Specifications very saving solvent low energy consumption high automatic Suitable for thermosensitive material juice concentrate Application- falling film Evaporatorjuice concentratefalling film Evaporatoris applicable for dairy products, pharmacy, glucose, starch, chemical industry, xylose, ..
Wenzhou Aowei Machinery Co.,Ltd. is one of the leading China SHJO high efficient falling film Evaporator juice concentrate manufacturers, welcome to wholesale cheap SHJO high efficient falling film Evaporator juice concentrate from our factory. 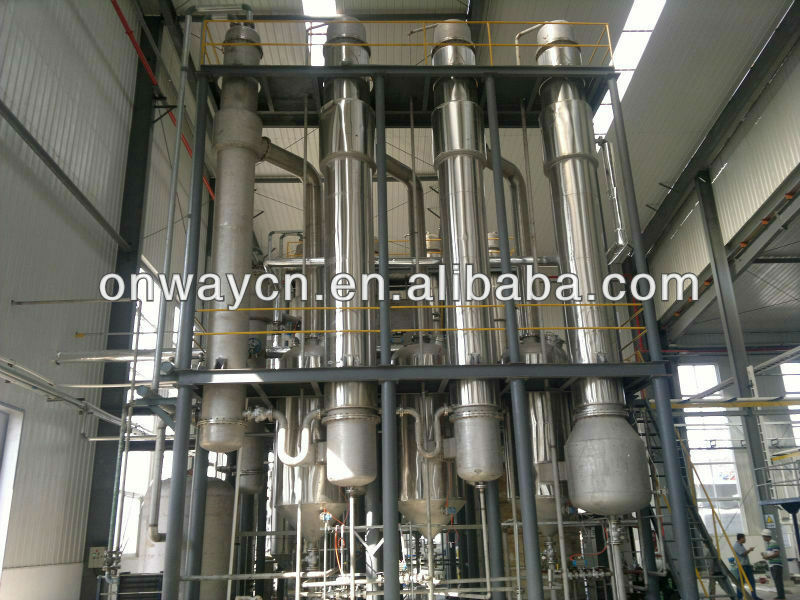 falling film Evaporator is applicable for dairy products, pharmacy, glucose, starch, chemical industry, xylose, citric acid, ammonium sulfate, biological engineering, environmental engineering and waste liquid recovery and treatment etc. 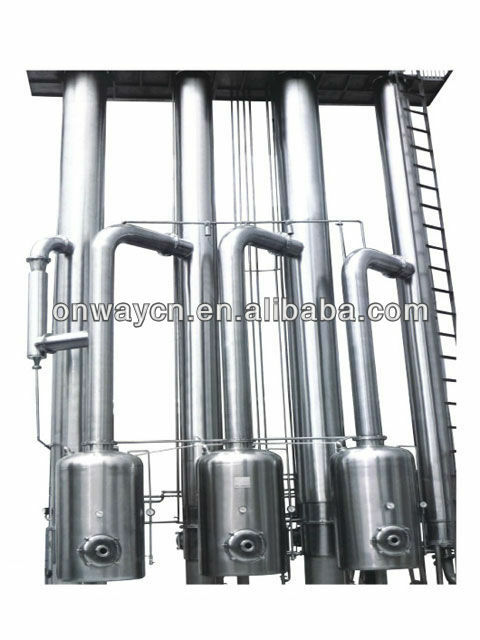 falling film Evaporator contains of single-effect, dual-effect and triple-effect evaporators, single-effect, dual-effect and triple-effect separators, preheater, condenser and hot pressure pump. (A) Low evaporation consumption, 1Kg steam can evaporate 3.5Kg water. (B) Low evaporation temperature. Part of twice steam can be inhaled into single-effect heater through spray type hot pressure pump. The high quality evaporation can be fully used and the evaporation temperature is low. (C) Large concentration ratio with downward film type evaporation, which can make material liquid with viscosity be so easy to flow and evaporate, Hard to agglomerate with short concentration time. The concentration ratio can reach 1:5. (D) The equipment can realize automatic production, intellectual system, which is conformity with GMP standard. Specifications very saving solvent low energy consumption high automatic waste water treatment plant Application- falling film Evaporatorwaste water treatment plantfalling film Evaporatoris applicable for dairy products, pharmacy, glucose, starch, chemical industry, xylose, citric acid, ammon..
agitated thin film evaporator for used oil recycling machine Application The device- agitated thin film evaporator for used motor oil recycling machinesis used in China and western pharmacy, food, light industry, petrochemical, environmental protection industries etc.Main Features: 1.Its heat tr.. 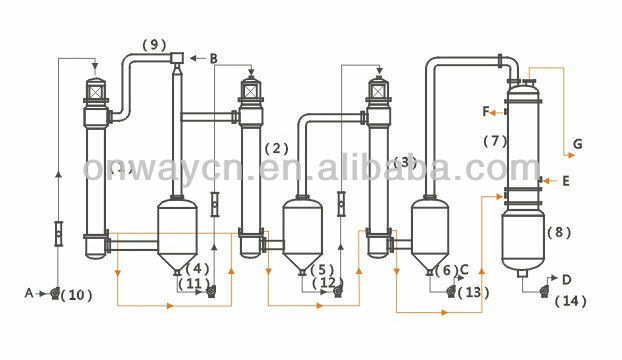 Application The device- diesel oil distillation plant is used in China and western pharmacy, food, light industry, petrochemical, environmental protection industries etc.Main Features: 1.Its heat transfer coefficient value is high, and its evaporation capacity & strength can achieve 200kg/m2 ..